The space topic is capturing us all, we have used I can animate to explain day and night and written about the planets. He is so proud of his space animation. Well done! This week our whole class completed AMAZING Iron Man writing. It was so good Mrs Davies had to pick two star writers and gave the class 2 class rewards. Our athletics team achieved a fantastic third place, on Monday at the quad event, which was held at West Bridgford School. 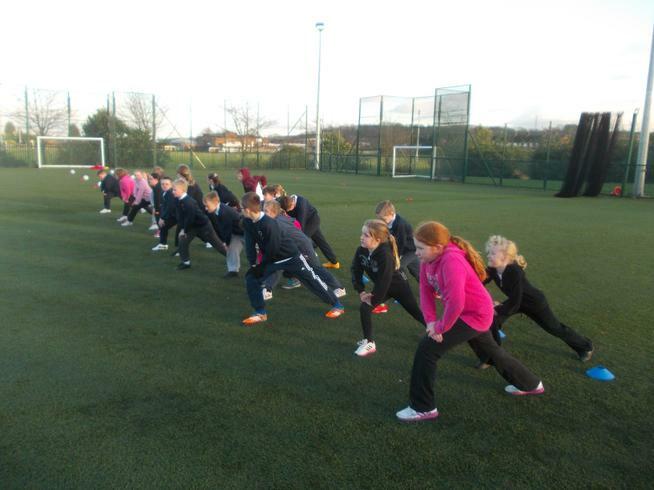 We also found many new athletes who are hoping to represent the school next year. Welcome back to Year 5 what a lovely long Easter holiday that was! I know I enjoyed spending time in the sunshine with my family and judging by the extra freckles on show in Year 5 so did you! We started the week back with an exciting Curriculum Week. Our theme in Year 5 was Games Master and we had a great time designing and marketing our own games. We all learned some valuable lessons about team work and managed to produce some quality products to take to the Dragons Den! Facing the Dragon's in their Den! Please read my writing on our classroom window or in my Flying High writers book. Fractions has been made fun in lessons with smarties. We have had to find fractions to amounts with the smarties. They really helped us understand making equal groups. Then we got to eat them!! We have been describing the Highwayman's horse and used a new app on the I pads called Keynote. Enjoy reading our writing. These are the spelling we will be looking at this half term. Remember you have a copy in your class tray. The question was ,were they heroes or villains? After much discussion we decided they were both. We have enjoyed learning about them. 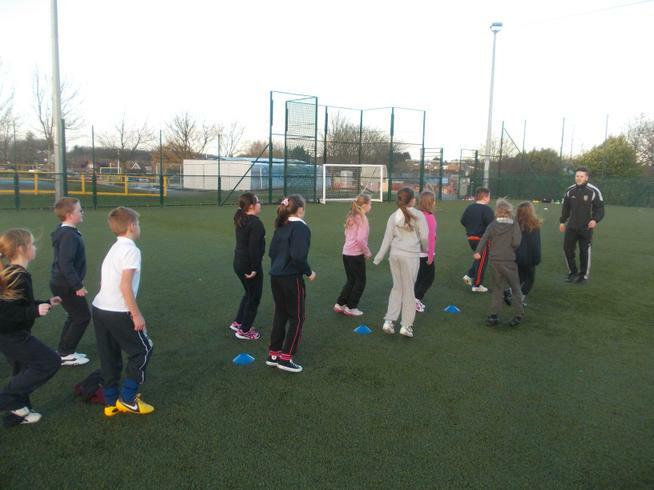 This week in PE we started our football coaching with Danny and Mark from Notts county. They will be teaching us how to play football over the next 12 weeks. The first session was great fun! 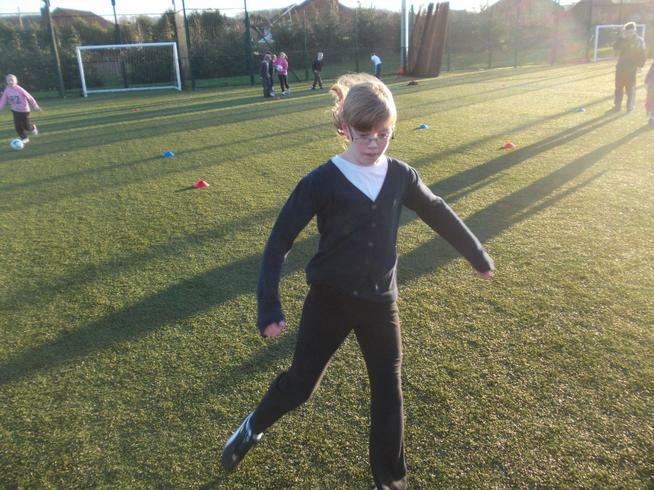 First we had to find a partner to play a game called rats & rabbits, then we moved on to dribbling and passing. There were some promising players found. 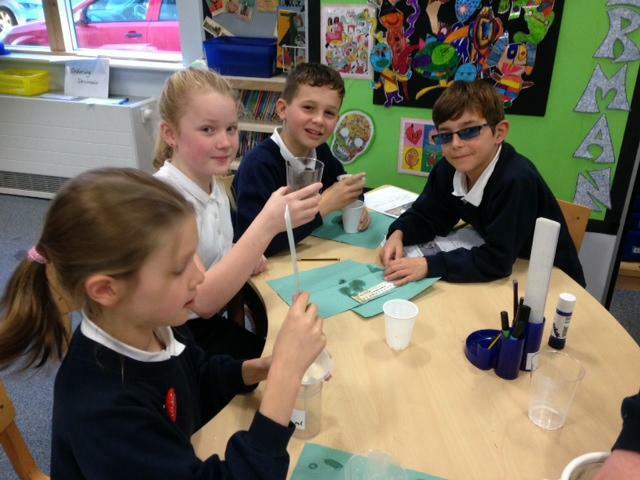 On Monday year 5 had their Christmas Party. We played a game called The Chocolate game; the chocolate game is where you have to roll a six, if you roll a six, you have to put on a hat, scarf and a pair of gloves, then you try and cut a big block of chocolate up with a knife and fork. The next game we played was called The Beetle game. You had to have a board, pen and a small dice. You had to roll a six before you could draw a body, a five was a head, a four was a tail; you had to roll a three, four times before you could have all of the legs, a two was an eye (so you had to roll it twice) and a one was a mouth. More chocolate was the prize! Our star writer was amazing this week for his wonderful writing about life as a chimney sweep. 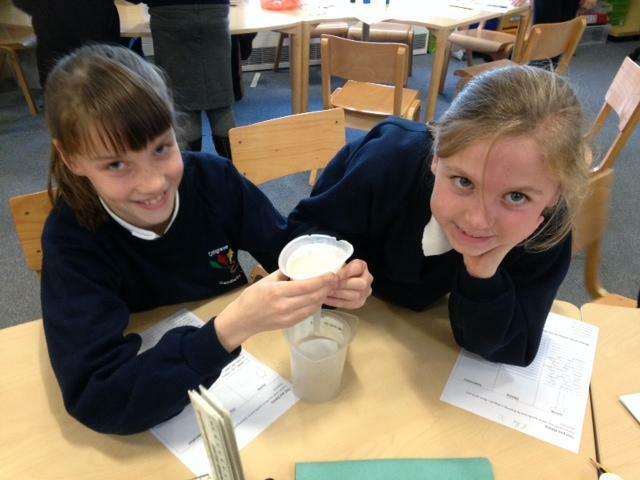 In Year 5 we have been doing science, we have been learning about filtering, sieving and evaporation. We predicted our answers, which is a sensible guess. 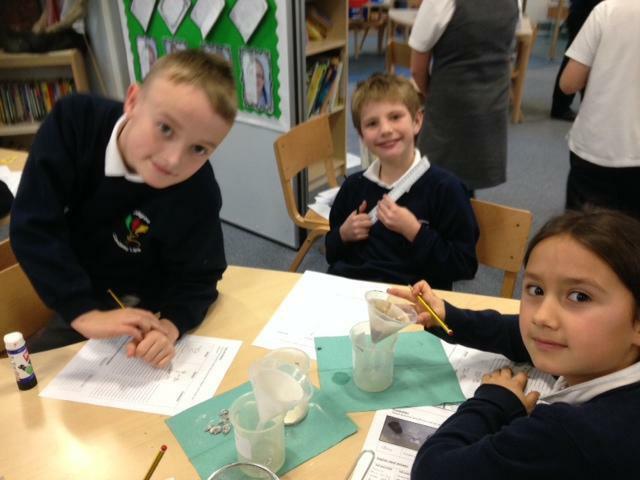 We had an terrific time with our science and learnt that you should sieve solids so that they would be separated; evaporation would be used to separate solutions. 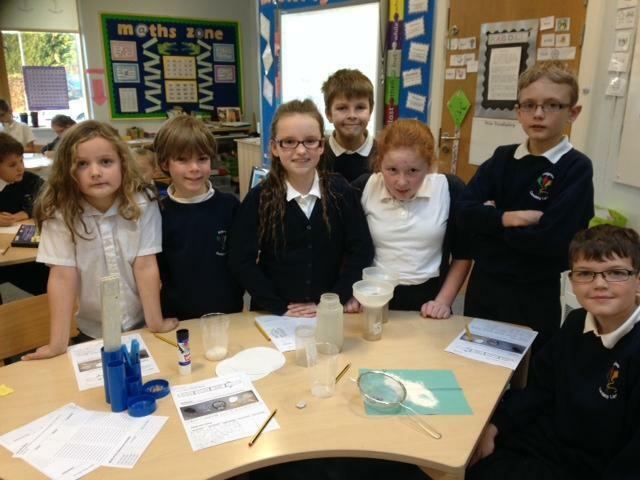 Children carrying out there experiments. Our year 5 children deserve an Oscar! Last night Year 5 put on a incredible production called ' Pudding For The Chimney Sweep';the hall was packed full of excited family members. Year 5 memorized their lines brilliantly. The families loved the play and passed on many great comments to the staff. Thanks to the year 5 team and Mrs Clark; Miss Waters for the magical music and Mr Elliott for dynamic drumming. Don't forget to get the DVD before Christmas. This week Charlotte is our flying high writer for her amazing speech of her life as a road sweeper. Its been a busy week in 5D. Rehearsals have begun, the first dance is completed and everyone is in it. Jay's art work completed in Davies' Doodlers is awesome. He is very proud, as was his mum. 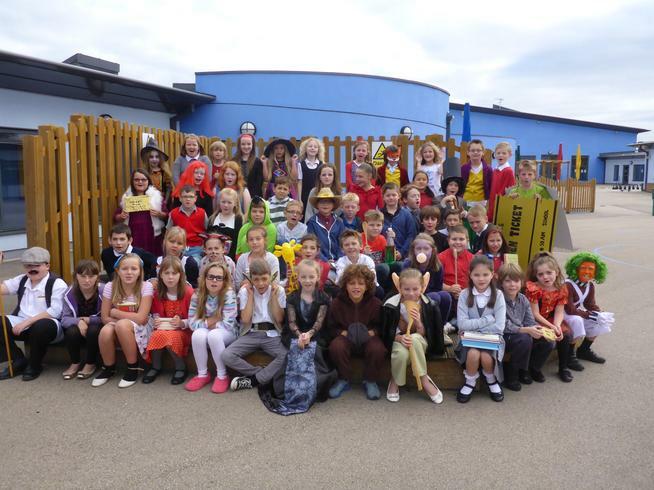 In September we celebrated Roald Dahl day. As you can see from our year group picture, everyone made a real effort with their costumes. It's great to be back after the long summer break and for year 5 it's going to be an exciting term. We're really excited that for the first time in two years this year group will be sharing neighbouring classrooms. This will allow us to work together as a year group and build new friendships. In history we are going to be learning all about what life was like in the Victorian era and how it compares to life as we know it today. We will kick start our topic with a trip to the Perlethorpe Estate in Mansfield, where we find out all about the Victorian classroom. We're also pleased to announce that in December Year 5 will be entertaining everyone with a musical extravaganza and we will be auditioning for parts after half term. So have your best singing voices at the ready!